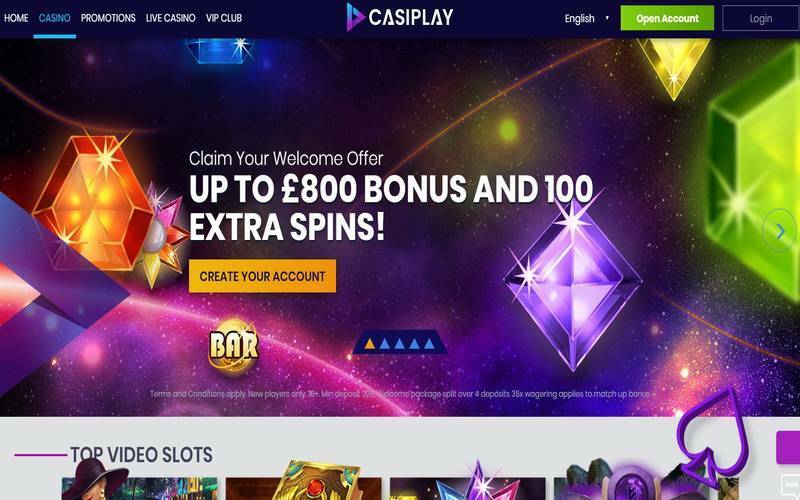 ✅ Sportingbet Casino Review, Dep £10, Get 50 FS on Starburst! Sporting Bet is a leading online casino in the European market. The site was established in 1998, and is operated by Headlong Ltd. Sporting Bet is licensed by the UK Gambling Commission, and is a member of the European Gaming and Betting Association (EGBA). Sportingbet Casino has over 800 slots games available on the desktop site, with around 785 available on the mobile version of the website. Game software providers include Evolution Gaming, Microgaming, and Playtech. Slots games include: Gonzo’s Quest, Berry Burst Max, Book of Horus, Galacticos, Guns N’ Roses, Hall of Gods, Melon Madness Deluxe, Loot’en Khamun, Mega Fortune Wheel, Mayan Gods, Super Joker, Luck O’ The Jackpot, Dazzling Sun, Divine Fortune, Flaming Fox, The Weather Man, The Chase, Fruit Shop, Starburst, Hotline, Twin Spin Deluxe, Reel Talent, Twice The Money, Mermaid queen, Big Banker Deluxe, Rainbow Rewards Deluxe, Spartacus, King’s Honor, Coins of Egypt, Big Thunder Quad Shot, and Dragon’s Fire. There are also 40 live dealer games available for play. These include: Live Blackjack, Lightning Roulette, Clubhouse Blackjack 11, VIP Roulette, Dreamcatcher, Speed Baccarat, Immersive Roulette, 3 Card Poker, London Roulette, Ultimate Texas Hold’em, Infinite Blackjack, Blackjack Party, Blackjack Fortune VIP, and Dragon Tiger. Unfortunately, Sportingbet Casino does not offer a first deposit bonus, a feature many online casinos typically offer new users. 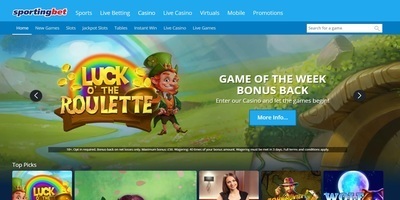 Sportingbet Casino does however have a few promotions going on. These include 50 free spins on the Starburst slots game if you make a £10 deposit. The minimum deposit to open an account at Sportingbet Casino is £10. Deposit options include: Bank Wire, Laser, PayPal, Visa, Ukash, Switch, Neteller, Paysafecard, and MasterCard. Withdrawals can made via Visa, Skrill, Neteller, Bank Wire Transfer, or PayPal. Withdrawals can take up to 24 hours to process, but there are no per transaction limits on cash withdrawals from your account. Sportingbet Casino is mobile enabled, and can played on both Android and iOS devices. As a leading European casino website, Sportingbet Casino offers top of the line security for its players. Funds are secure, and games are fair, as they are regulated by various European gaming authorities. Sportingbet Casino uses SSL encryption to protect player data, ensuring your payment and other personal information is protected. Sportingbet offers the high quality player support services expected in the European online casino market. They have a live chat IM service that is available 24 hours a day, 7 days a week, 365 days a year. This is a big advantage compared to many online casinos, which typically have a 16 hour window of availability on weekdays, and limited hours on the weekends. Sportingbet also has a customer support phone number for its players. In some markets, this number is toll-free. Email is another available customer support option. Sportingbet Casino is a solid choice for the online casino player. The wide variety of popular slots games should meet your appetite for online casino action. The wide array of live dealer games should also meet your expectations. While the site is not available in all countries, for most players in Europe, SportingBet is a great choice to play online casino games.